On a warm Wednesday Summer evening Fauquier Wrestling team came together once again to celebrate the achievements for winning the 4A Virginia State title. A Championship run that had Fauquier Nation gathering in the open Fauquier Cafeteria Court Yard for a cook out and to present the State Wrestling rings to the Wrestling team, Coaches, Managers, and the Administration. Capturing the 4A Wrestling State title back in February, Fauquier Wrestling became the first team in Fauquier County history to win a State Championship title twice in Back-to-Back years. One could say that the 2016 team were in fact underdogs and were peaking at the right time to capture the title. A closer look at the 2016 State rings has the script words on one side that reads Back-to-Back - a very nice touch to the ring. 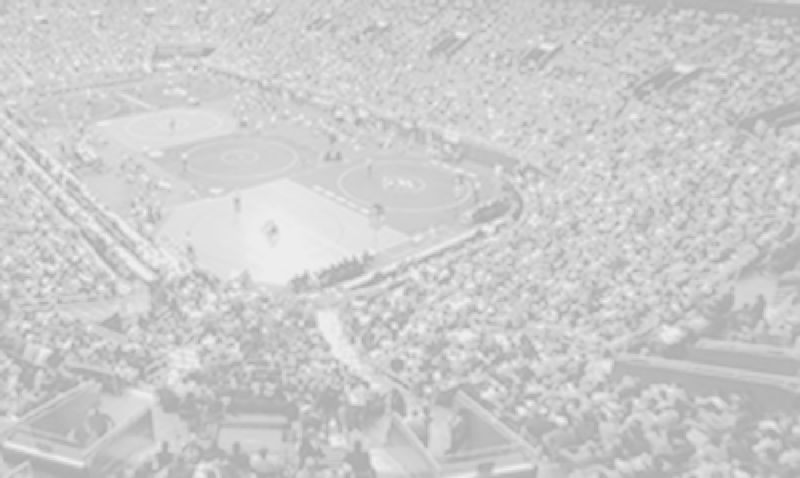 A look back the at the Falcons at the 4A State tournament had team Fauquier earning six individual placements: 113 lb Kyle Budd and 160 lb Garrett Tingen earning 1st place, 138 lb Kyle Roche and 170 lb Clifford Harrison taking the silver, as 126 lb Ty Foster and 145 lb Caleb Strum bring home third place medals. As Coach Fisher presented the rings to each Fauquier Varsity wrestler he addressed the impact of each individual wrestler contributions in capturing the 2016 State title. In addition to the team State Championship rings Kyle Budd and Garrett Tingen also received a State Championship ring for winning their individual State title at their weight class. 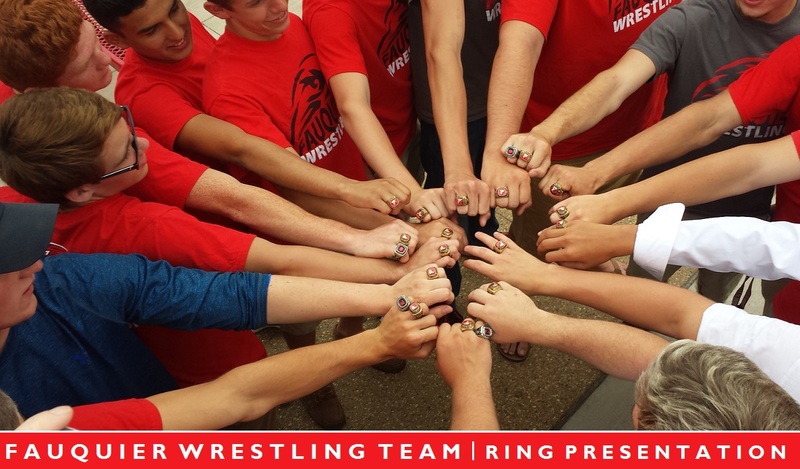 Many thanks must go to the the Fauquier Boosters and Fauquier Wrestling Club for this Ring Presentation. 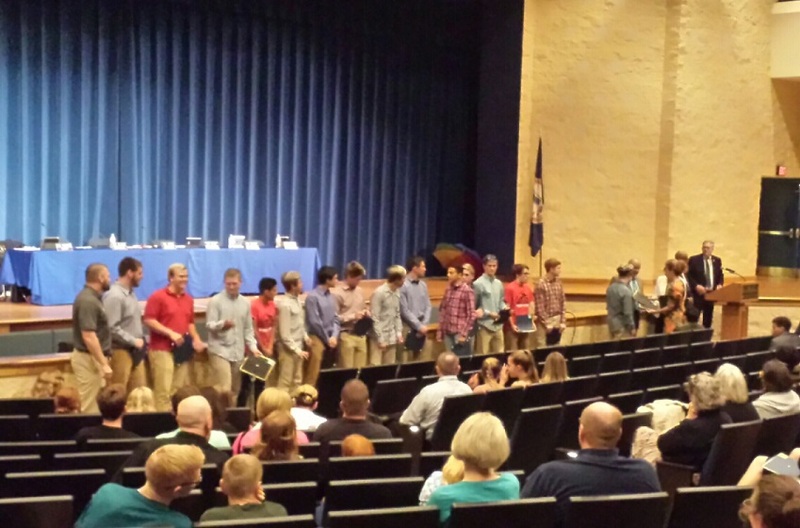 In addition on May, 23rd at the Fauquier County School Board monthly meeting which took place at Liberty HS., invited and recognized team Fauquier wrestling for winning the 4A wrestling championship this past winter. The event started with some light refreshments at 6pm followed by recognitions at 6:30pm for its successful championship run. On this night the Fauquier School Board started the meeting by recognized many school employees from elementary, middle, high school, and the other levels of school employment. The board then moved to highlight and recognize student achievements from across the county and all grade level. The board weighted to the very end of all awards and had asked the Fauquier wrestling team to come forth as they were honored with their success for winning the Championship title as well.